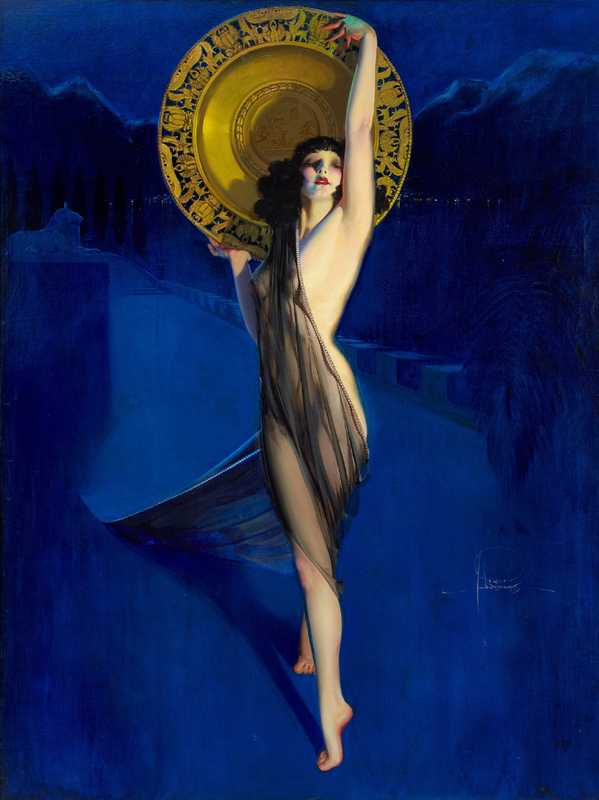 Often referred to as “the father of the calendar girl,” Rolf Armstrong's use of pastels and bold color choices to create lasting images of beautiful women has given him the reputation as one of the all-time great pin-up artists. 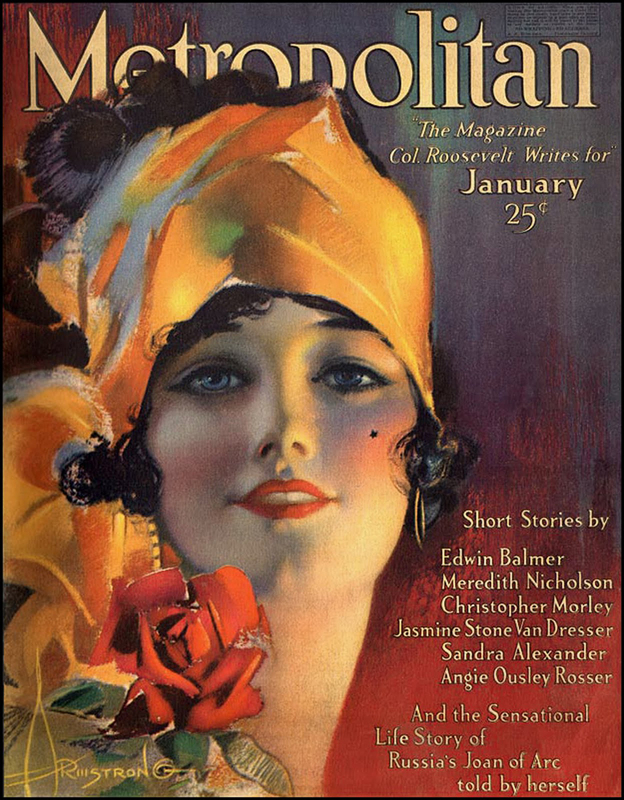 Armstrong's first cover was for Judge magazine in 1912. Subsequently, he painted covers for such periodicals as Pictorial Review, Screenland, College Humor, Puck, Metropolitan, Photoplay, Life, and The Saturday Evening Post. In 1919, Brown & Bigelow hired Armstrong to illustrate their calendars. Calendars featuring images of his models became some of the company's highest sellers. Armstrong also illustrated product advertisments for Oneida Silverware, Hires Root Beer, Kist Beverages, Nehi Soda, and Old Gold Cigarettes. The artist insisted on using live models for his portrait paintings, as when Boris Karloff posed in character on the set of the film Frankenstein (1931) or with his good friend James Cagney on the set of Mr. Roberts (1955). Armstrong's career flourished until his death in 1960. Dobson, Janet and Michael Wooldridge. 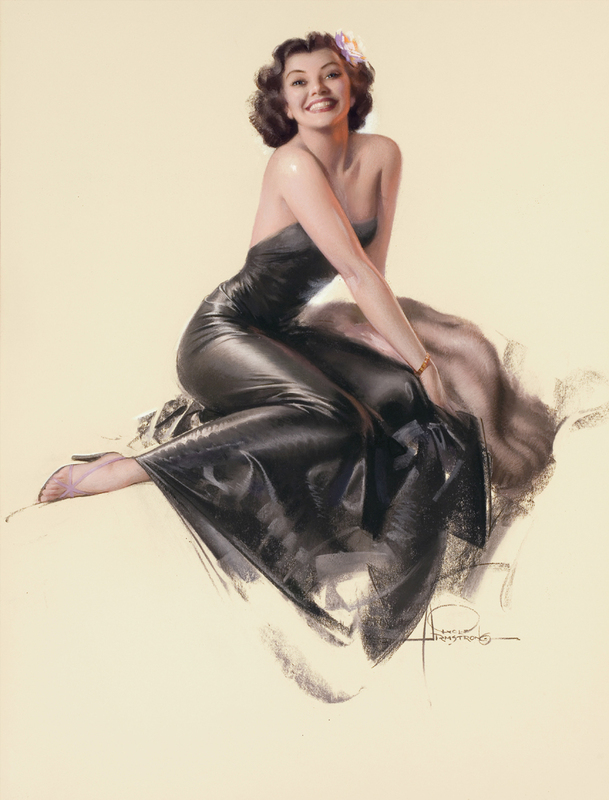 Pin-up Dreams: The Glamour Art of Rolf Armstrong. New York: Watson-Guptill Publications, 2001. Stevens, Ben. 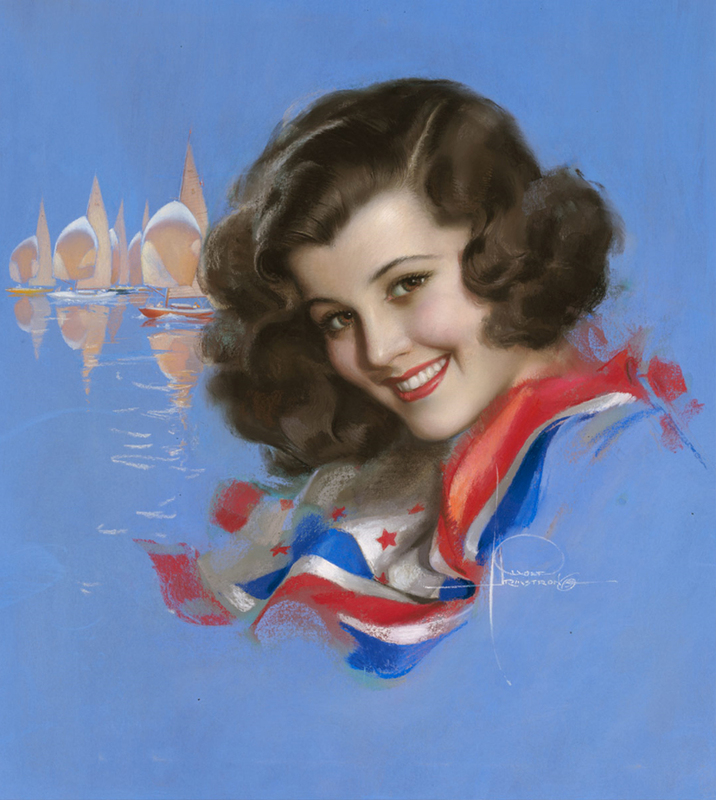 Rolf Armstrong: The Dream Girls. Portland, OR: Collectors Press, 1997.